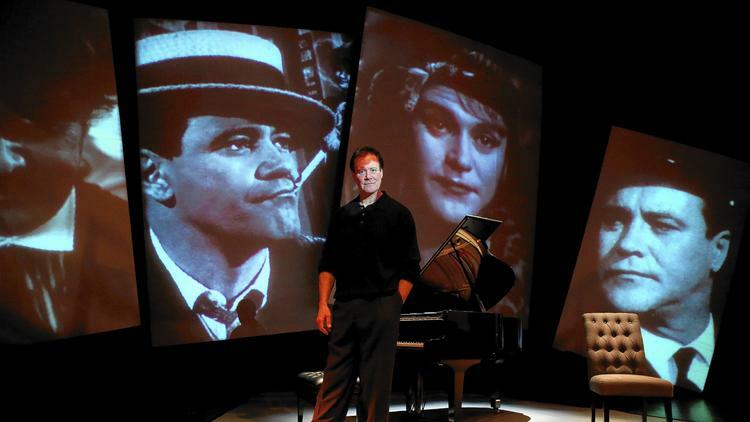 The Los Angeles Times is reporting the son of Jack Lemmon is honoring his father with a one-man play that shares amazing stories about the life-and-times of the iconic actor. Chris Lemmon published a book, A Twist of Lemmon, about their relationship in 2006. The book tour was well received, so he came up with the idea of a performance piece based on the stories in the memoir about the beloved two-time Oscar winner (Mister Roberts, Save the Tiger), who starred in such classics as Some Like It Hot and The Apartment. A friend, director Joel Zwick, introduced Lemmon to Hershey Felder. He has had success creating and starring in such one-man biographical shows with music as George Gershwin Alone, which Zwick directed. After Felder met with Lemmon and attended a performance of his show, the two began to collaborate on transforming what was essentially a cabaret act into a play. Jack Lemmon Returns, which Felder wrote and directed, premiered last month in Chicago. On Wednesday, it opens at the Laguna Beach Playhouse, where it will play through June 22nd. (The show will also visit Los Angeles Broad Stage in January). Music is an important element in Jack Lemmon Returns with George and Ira Gershwin’s Our Love is Here to Stay, the thematic tune in the piece. Another song Lemmon loves to perform is ‘S Wonderful, because the standard evokes a special evening Lemmon spent at his father’s bachelor pad up in the hills. The party involved Shirley MacLaine, Gregory Peck, Jimmy Cagney, Jimmy Stewart, and so on. The moment is recreated in the production. Two years after Chris Lemmon (who has a strong resemblance to his father) was born, his dad and his mother, actress Cynthia Stone, divorced. Jack Lemmon married actress Felicia Farr in 1962, and his half sister Courtney Lemmon was born in 1966. After the divorce, his father spent quality time with Chris — they fished, golfed, and shared a lasting love of music. It’s magic time… as Jack Lemmon would use to say before each scene. This entry was posted on Monday, June 9th, 2014 at 12:47 am	and is filed under Blog by Manny Pacheco. You can follow any comments to this post through the RSS 2.0 feed. Responses are currently closed, but you can trackback from your own site.